Duplicate Entries in Your iPhone in the form of zombie entries, due to integration with Facebook or having the same information with multiple accounts may cause trouble to your contacts search. When you have a lot of these duplicate entries of same contacts on your device, it will increase the time to search right contact. 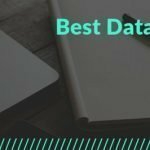 This duplicate data not only affect contacts search time but it also occupies valuable storage space. You can find and remove these unnecessary entries using built-in options on your iPhone which allows you to delete or merge one contact at a time. Alternatively, you can use duplicate contacts remover apps for instant and accurate results. Let’s discuss the ways to merge and kill duplicate entries in your iPhone. Following this step, you can merge the same contact with different information. You can find two same contact information underneath the Linked Contacts section. To manually merge duplicate contacts in Your iPhone, follow the below steps. First, open the Contacts app on the iPhone. Now it’s time to select the contact that you want to merge with the main contact. In the top-right corner, Click on Edit. Scroll down the screen to find the “Link Contacts” option and tap on it. Now select the contact that you want to merge with. Click the Link option in the upper right corner of the screen to merge contacts. 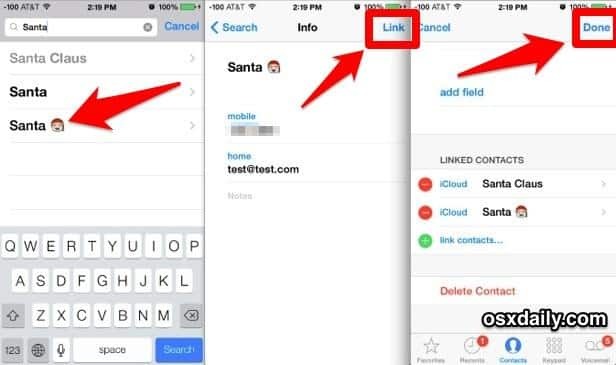 You can follow these simple steps to manually merge multiple contacts in iPhone. It allows you to manage and organize your contacts list easily. Contacts app on iPhone allows you to add, edit or remove any contact from the list easily. Using the Contacts App, you can add, edit or remove one contact at a time. 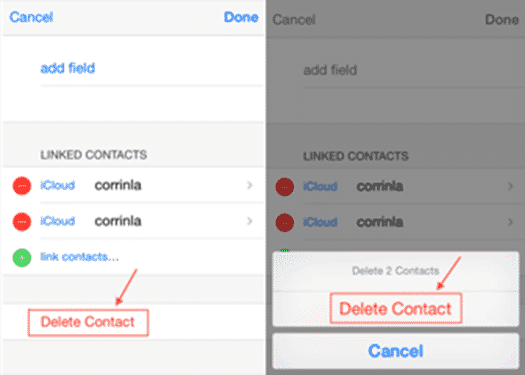 To manually delete multiple duplicate contacts in iPhone, follow these steps. Head to Home Screen of your device and open Contacts list. Sift through the contacts list to find and locate duplicate contacts on your device that you want to remove. Alternatively, you can directly search the contact from the search bar at the top of the screen for quick navigation. Tap on the selected contact to open details. Tap the Edit option given at the top-right corner of the screen to edit the selected contact. Now you need to scroll down the screen for finding the “Delete Contact” option. Tap on it and confirm it to delete the contact. You can follow this simple step to remove duplicate contacts instantly. It allows you to remove one contact at a time. It will help you declutter and de-duplicate your contacts list. Remember if your iPhone is connected with the iCloud account then the deleted contact will be removed from all your connected devices. Tuneup Contacts is an impressive duplicate contacts remover app which helps you to get rid of all identical contacts on your iPhone. It helps you keep your address book organized and decluttered. Further, it avoids confusion with the same multiple contacts and improves your address book performance. It allows you to clean duplicates even if you sync them with multiple accounts. It is a useful tool to find or remove all identical entries from your device. It cleans all incorrect, incomplete and zombie entries instantly to clean your address book. You can use this tool to automatic backup all your contacts to use them anytime. 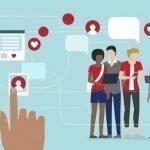 You can use this impressive tool to clean and organize your contacts list for improved performance. Clean and organize the address book can help you improve your device performance. 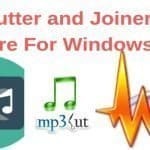 It can also help you recover some storage space on your device. 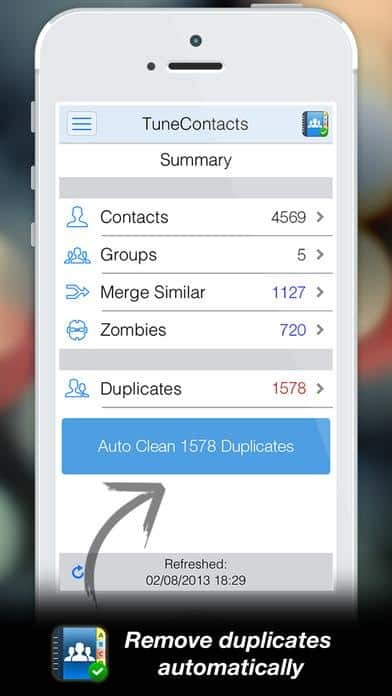 To clean these duplicate contacts, you can follow the manual process or use duplicate contacts remover apps for instant and accurate results. Previous articleHow To Keep Laptops/PCs Safe from Trojan?